If you are looking for a way to reduce waste in your facility, the Kanban methodology might be the perfect solution. Kanban was developed by the Toyota Corporation and has since been used by thousands of manufacturing companies around the world. The effectiveness of this system is well-established from a variety of approaches. Learning about what this system is and how it can help your facility is a great first step in reducing the waste generated by your facility and helping to improve overall profits. 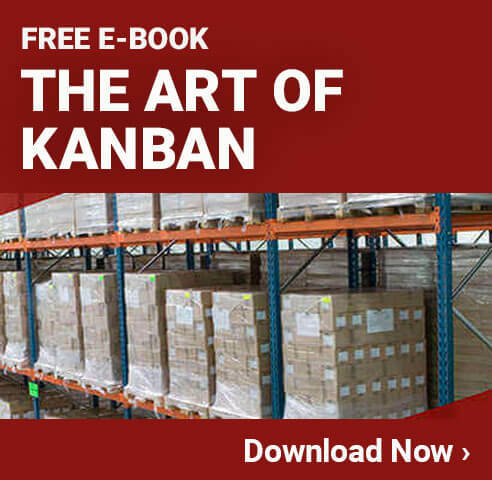 To put it simply, the Kanban system is a Japanese manufacturing methodology that focuses on the supply of components used in the creation of products. By properly regulating the supply of everything used in the process it is possible to reduce the need for over-production. In addition, it can reduce the risk of running behind and not having enough products to meet customer demand. The system is managed using cards that display the sequence of specifications and instructions. These Kanban cards can be physical cards, triggers on a computer program or even just logical concepts. 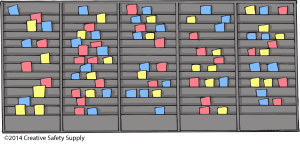 If you’ve used the Lean or Just in Time production strategies, you’ve likely used some type of Kanban cards, even if that is not what they were called. Reduce Product Obsolescence – If you have to create too much inventory and have it sit on a shelf until a customer needs it, you risk that the product will go obsolete. This can cause you to lose all the money you would have made selling the product plus whatever expenses went into making it. Improves Production Flexibility – Kanban systems allow the production schedule to be much more flexible. It can adapt to changes, even sudden changes, in the demand of a product, for example. Improved Output – During heavy production times, Kanban can help to improve potential output. This is possible because the systems helps to identify problems quickly so they can be immediately addressed. With most production systems problems are not discovered until well after a lot of time and products are wasted. Prevents Over Production – Since the system operates in a ‘just in time’ fashion (or as close to it as possible) there is little risk of over production. Over production often leads to too much inventory, which can make it so you must discount the products in order to sell them. Customer Driven Demand – The way a Kanban system prevents over production is by allowing customers to drive the demand. There is no need to make products ahead of time in the hopes that a customer will buy them. Thanks to the improved output your facility can create products as they are needed. As you read through these advantages you might notice that they all have something in common. They can all be used as ways to reduce waste. Whether it is waste in the form of inventory taking up space, or wasted profit caused by having to discount items or even wasted efficiency. The end goal with the Kanban system is to eliminate waste and improve profitability of your facility. The system is made possible thanks to the Kanban card. Interestingly, Kanban actually means “Card you can see” in Japanese so the term is a little redundant. None the less, however, understanding what this card is can help ensure you are implementing your Kanban strategies properly. A Kanban card is used to signal that a specific part is in need of replenishment to allow the production line to continue. The cards will contain important information such as the name of the part needed, the quantity needed, the manufacturer and more. Most facilities will also color code these cards with different colors having different needs. As a particular part starts to run low, the card will be displayed. This will alert the supply team to the need so they can go and fill it. Once filled, the card is removed and the system continues. What constitutes ‘low’ inventory will vary from part to part. Only order sufficient inventory based on what is needed according to the Kanban card. If it is not specified on a Kanban card, do not order or manufacturer additional inventory. A Kanban card should accompany every item every time. Defective, damaged or incorrect parts should never be sent on to the next process. Related to this, if an incorrect amount of a product is made, it should not be sent on either. Continuously monitor every Kanban to see opportunities for improvement. At first glance, many people think that this is too simple to work in a major manufacturing facility. Keep in mind, however, that it was developed by and for Toyota. Toyota has long run one of the largest manufacturing companies in the world. Using the Kanban system they became an icon in the industry and have helped thousands of other facilities improve as well. While implementing a Kanban system it is good to remember that there are potential obstacles that could come up. It is impossible to predict every difficulty or disadvantage, but looking at some common ones will give you the ability to plan how to avoid them successfully. Shared Resource Situations – If you work in a facility where resources are shared by multiple manufacturing lines it can present challenges. There are potential work around but they must be thought up and agreed upon by everyone ahead of time. Surges in Demand – While Kanban can deal with the normal ebb and flow of product demand, it can be difficult when dramatic surges occur. If a customer makes a huge order, it can leave you scrambling. Work to improve predictability of orders to overcome this obstacle. Downtime – If a machine or other item in the facility breaks down it can cause you to fall behind significantly. Since the Kanban system works to reduce or eliminate excess inventory, there is little cushion to help you through unexpected downtime events. Short Production Runs – Facilities that change their production frequently may struggle to use Kanban. Short production runs require changes and interruptions, which can make Kanban less effective. None of these obstacles are a reason not to adopt the Kanban system. At worst they should give you pause so you can take the time needed to understand how these issues could be handled with your facility. With proper planning you can continue implementing this system with great success. 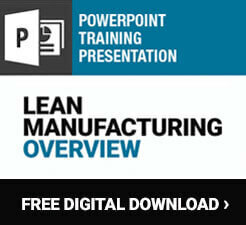 One more basic item to cover when discussing the Kanban system for manufacturing. It is important that even after the full implementation of the strategy is completed nobody thinks that the work is done. Like all the great manufacturing strategies, Kanban can be used to help foster continuous improvement within the facility. Part of the Kanban system should always be watching for places where improvements can be made and efficiencies enjoyed. Every little thing that you can do to cut out wasted time, effort, materials or anything else will help improve the facility as a whole. When this concept is understood properly a facility can enjoy both the immediate benefits of Kanban and the long term improvements. 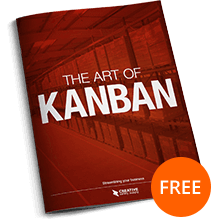 After reading through these basic concepts behind Kanban it is easy to see just how beneficial it can be for any facility. Keep in mind, however, that implementing any type of new system is going to take a lot of work. Not only will it be hard to actually implement, but it will also be hard to get approval from the management staff. With this in mind it is absolutely essential to start planning your strategy today. You can read all the articles, books and papers on Kanban and other methodologies, but until you start thinking about how it will be implemented in your facility it won’t become real. By focusing on real world implementation you will begin to identify which parts will benefit your facility the most, and which ones will cause the most trouble. This can help you to prepare employees as well as management teams so they know what to expect during and shortly after the implementation of a new Kanban system. Even if you are already using a Kanban system, remember, there is always room for improvement. Just take the time to understand your goals and how you will reach them using this proven strategy. 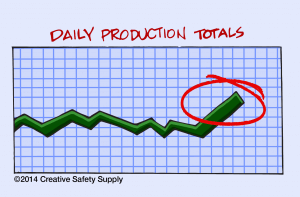 Make sure to check out Creative Safety Supply for all your Kanban supply needs.